Verslag van de Webster Bowl, waar het Nationale football team speelt tegen Ierland. Twee vliegen in 1 klap slaan: Promotie en motivational! Founded on November 1, 1915 by the Sisters of Loretto, Webster University started with a commitment to the community and to excellence in education. Originally named Loretto College, the school was one of the first Catholic women’s colleges west of the Mississippi River. It was progressive for its time, providing higher education to women when this was not generally made available. Webster Leiden Campus was founded in Leiden in 1983. Its ideal location between the cosmopolitan cities of The Hague and Amsterdam means students are within easy access of many non-governmental organizations, multinational companies and important global organizations and agencies. Webster Leiden Campus in Leiden has become the source of education for internationally minded students. 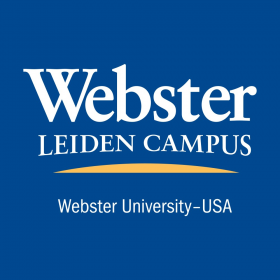 Webster Leiden Campus is the only American-accredited institution in The Netherlands offering both a BA/BS (undergraduate) and MA/MBA (graduate and post-graduate) education. Since Webster began offering American accredited degrees in The Netherlands, over 2000 students have graduated here.